Going to try bake tonight. If I does not have 薑粉 how much fresh ginger juice should I use? I have make the dough but its still very soft even after i put in the fridge... Making it hard to come off the mould.. How to save it??? Have you chilled your dough long enough and wait it turns harder and workable again? If you don't want to wait too long, you can put your dough in freezer. It'd speed up the chilling process. 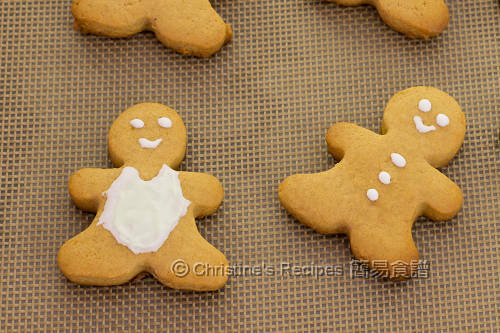 Baking powder 跟baking soda 有什麼分別? The beating time depends on how well your mixer performs. The butter should be beaten until pale and fluffy, looks like the picture on the tip right. Then mix in the egg bit by bit, then followed by syrup. Make sure to beat well between the adds. If you put them all in one go, it easily split. I tried making it just now but after I added the egg, milk and golden syrup and beat again, the mixture started to 分離！did I do sth wrong? 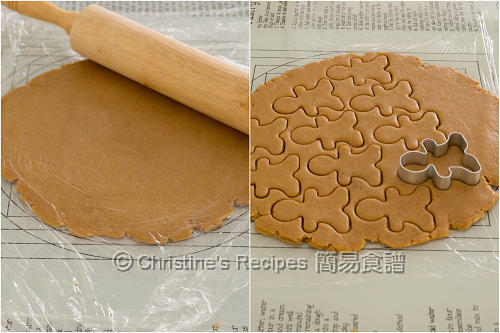 That's a very common problem of making cookies or cakes. When you add the egg or milk too quickly in one go, the cream butter mixture will split. 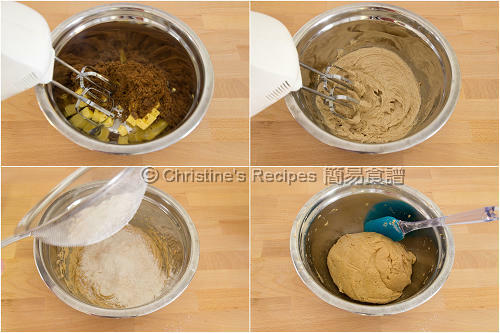 Generally, after adding the dry ingredients, it will be fine and the end product is no difference. 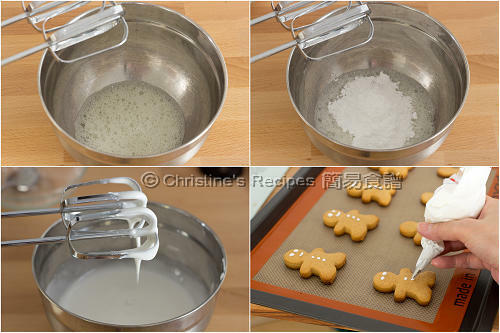 Dear Christine, may i check the expire time frame after the cookies are made? Sorry, I didn't test the expiry time frame. They're gone very quickly. As these are homemade cookies without any preservatives, they won't be kept too long. Might be a few days or a week. They should be consumed as soon as possible.